Dementia Care in a Retirement Community in Connecticut that focuses on all aspects on each resident. Knowing that your loved one’s needs are understood and well taken care of gives peace of mind. That’s why we’re all about the details—to ensure that every day is about residents getting the right level of care. The Hearth at Glastonbury’s Keepsake Village staff is specially trained to provide necessary assistance while helping maintain the residents’ dignity through independence. At Keepsake Village, we keep that promise in mind. We are passionate about providing the best possible care and believe that an active partnership with the family serves as the foundation for providing individualized care for your loved one. Our approach features research-based care practices—like Activity Bins and Smile Boxes, menus with pictures and brightly colored dinner plates—that sound like small details, but help our residents experience the best life possible. Our personalized service is designed to meet the individual challenges of those needing memory care. With attractive gardens, private residences and interiors designed to provide a soothing environment, Keepsake Village is one of a kind. The Mosher-Gardens Method is a combination of compassionate and expert care that unfold into a number of services offered to our memory care residents. With a keen understanding of assessing individual needs, our professional memory care staff help to make our residents lives purposeful and well-intentioned. The Mosher- Gardens Method is comprised of different activities including large group interactions, mental stimulation through our Think More® program, and scheduled outings. To learn more about our memory care, please contact us online or call us at (860)-430-4247. 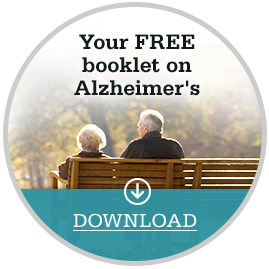 Fill out the form below to download a free booklet on Alzheimer's. Please keep me informed about upcoming events and updates at Glastonbury.